The Middle Ages were a magical time in Italian history, where city-states battled against each other for dominance of the peninsula and where one dialect began the slow transformation into one of the most poetic languages in the world. Siena, the Gothic jewel in Italy’s crown, rose to prominence during this time and became an incredibly powerful republic. There remains today a unique atmosphere; a sense that you are stepping back in time. If you are interested in Italy’s history, art and culture, then there is no better place for you to learn Italian than Siena. 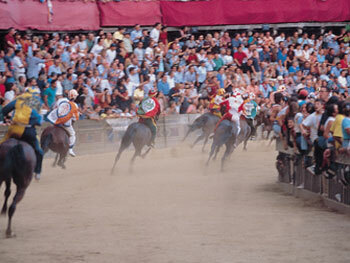 Siena is probably most famous for the Palio, a biannual horse race around the scallop-shaped Piazza del Campo, the heart of Siena. This competition between the city’s contrade (districts) is celebrated by much pomp and pageantry and really brings Siena’s vibrant history to life. As well as playing host to the palio¸ the piazza is the home of the Palazzo Pubblico, centre of the city’s government and home to two stunning frescoes depicting good and bad government, which are just two examples of Siena’s rich artistic heritage. 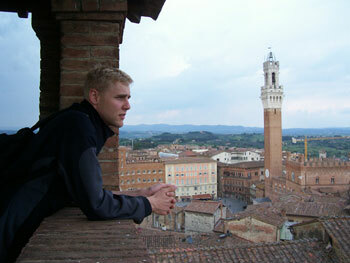 Siena is also an incredibly picturesque location for your Italian language course. The distinctive burnt orange architecture set against the rolling Tuscan countryside is simply stunning, particularly at sunset. The best views across the city can be found at the top of the Torre del Mangia, the bell tower built to rival that of Siena’s greatest rival, Florence. The punishing climb up its 500 steps really is richly rewarded and is one of our top tips for your trip to Siena! Our Italian school in Siena is housed in a majestic palazzo in the oldest part of the city, known as Castelvecchio. 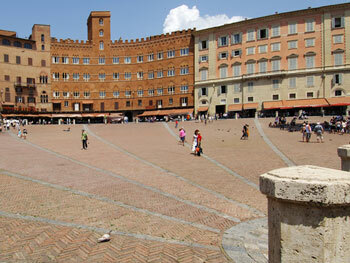 This is a very convenient location from which to explore Siena, as it is just a 10 minute walk to the Piazza del Campo. This school has over 30 years’ experience of providing high-quality, total immersion Italian courses and the first-class facilities include 25 classrooms, a self-study centre, library, computer room with Internet access as well as wireless Internet throughout, coffee areas, student common areas, two courtyards and three terraces. The first and most important thing to say is that all courses will be taught in Italian from the outset, as this total immersion in the language really is the most effective way to maximise your progress. Of course, your teacher will be a fully-qualified native Italian-speaker with experience in teaching Italian in this way to international students of all levels. If you are a complete beginner, you will be automatically placed in a group with other beginners. This is why it is important to choose a date that is suitable for beginners. All other students will take a level test on arrival at the school, which will allow them to then be placed in a suitable group with students of a similar level. 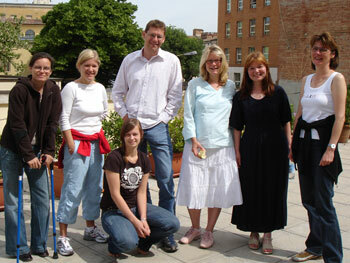 Most students choose to learn Italian with other students of a similar level on a group course. This type of course will focus on improving your overall level of Italian and, as with all our courses, will be taught using a ‘communicative’ method, with the focus being on the everyday, practical usage. You can choose between 15 or 20 lessons per week. We also offer private lessons in Siena, which can be taken as a course on their own, or in addition to a group course. This is the perfect option if you have anything specific that you wish to focus on in your lessons. 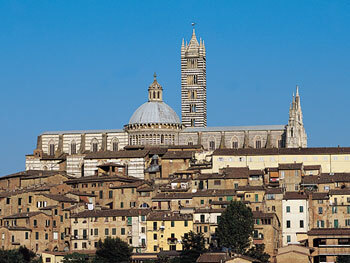 We offer two accommodation types in Siena. 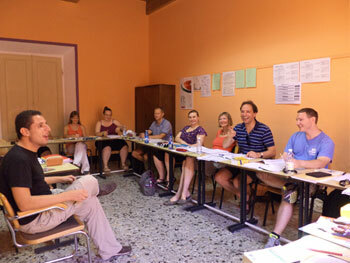 To really achieve ‘total immersion’ in Italian, we would always recommend students stay with a host family. This will allow you to practice your new language skills on kind, patient native speakers and really is the best way to increase your confidence in speaking. Your host(s) will provide you with your own room (please note that shared rooms are only available for two students travelling together), as well as your breakfast and evening meal. Host families come in all shapes and sizes and most tend to be older couples or single ladies, as these are generally the kind of people who have the time and space to host students. Of course, if you have any special requirements regarding your accommodation, please do make us aware of these at the time of booking. We will then do our best to arrange this with our colleagues at the school (please note that this is subject to availability and cannot be guaranteed). We also offer shared apartment accommodation in Siena, which is usually most popular amongst students in their 20s (as this type of accommodation is usually comfortable but basic). This accommodation option would allow you to self-cater, as you would have access to a fully-equipped kitchen. You will share the kitchen, bathroom and general living area with your flatmates, although you will have your own private bedroom. 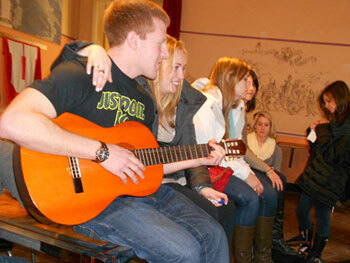 In order to enrich your experience of Siena, our colleagues at the school regularly offer optional activities. These will give you unique insights into the very best that Siena has to offer, whilst allowing you even more opportunities to develop your Italian! Examples of typical activities include: guided tours of Siena; Italian film screenings; visits to museums, historic sites and neighbouring cities and towns; trips to see the beautiful Tuscan countryside; wine tasting and discovery of the local cuisine. When you arrive at the school, you will be informed by our colleagues as to the activities that will be offered whilst you are there. You can then choose which you take part in. Of course, if there is anything that you wish to do that is not offered as part of the activities programme whilst you are there, our colleagues should be able to advise you on how to arrange this yourself. Please note that most activities will incur a small additional charge to cover costs. Most students fly into Pisa or Florence and then take a train to Siena. The journey takes approximately 1.5 hours from Florence and 2 hours from Pisa. Airport transfers can also be arranged upon request, at an additional charge. I attended the Begginners Italian Course for 2 weeks. The teaching methods were exclent and I have learnt so much about the structure and grammar of the Italian language I am going to continue my studies in Australia when I return home.